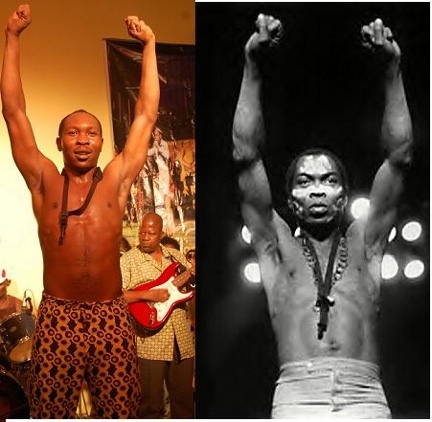 Seun Kuti’s father was Nigerian music legend Fela Kuti, a human rights activist, political maverick and creator of the Afrobeat sound (a fusion of jazz, funk, rock and traditional African music). From his discovery of the American Black Power movement in the late ‘60s until his death in 1997, Fela was the voice of rebellion against government oppression and military corruption in Nigeria. 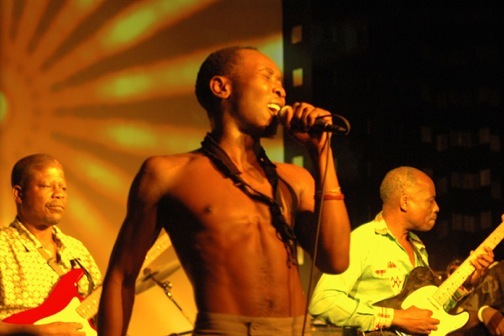 Now Seun, Fela’s youngest son, has taken up his father’s fight. The talented singer/saxophonist has been performing with his father’s former band, Egypt 80, since the age of 15. While his 2008 debut was impressive enough, Seun’s new album From Africa With Fury: Rise finds him fueled with sociopolitically charged invective, raging against the inequalities and unfair government practices of his homeland. 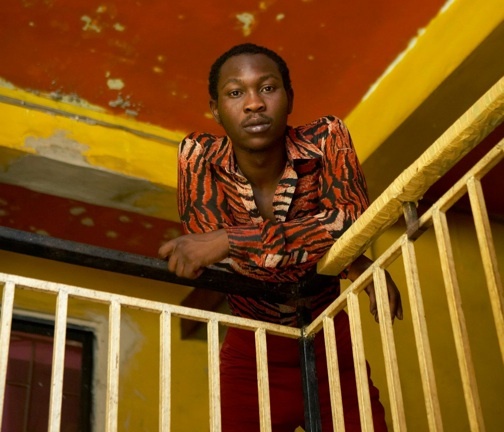 It was with great pleasure that I spoke to the 29-year-old Afrobeat phenom, covering topics ranging from his father’s enduring legacy to the changes he hopes to see in Africa’s future. Your father was a legend. At what age did you decide you wanted to follow in his footsteps? How did he respond? Did he encourage your interests? After his show at the Apollo in 1991, I said to my dad, “I want to play music.” He asked, “Can you sing?” I said yes and he told me to sing a song. I sang a song and he said, “Ok, you’re not half bad. We’ve got to start you with a band.” So voila! I started with reggae, hip-hop and rock. As a kid, I always knew that Afrobeat was not something for kids to make, because you have to dedicate your life to it. 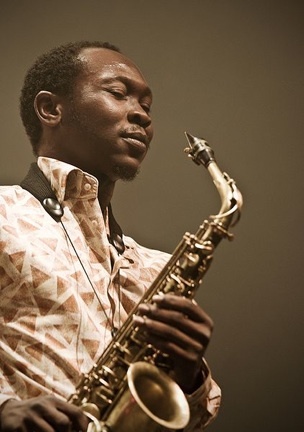 By the time I grew older, I realized that Afrobeat was my true love. What were you able to learn about the craft from watching your dad? I don’t study techniques for stage or choreograph dancing. To me, that’s not a show. Having crazy lights and people all over the place is just a distraction from how bad their singing or dancing really is. If you watch me, every move is spontaneous, coming from within me. How did people respond when you took over leadership of your father’s band, Egypt 80? I got some support, but not a lot. The fans wanted to see their man. They kept comparing me to Fela and saying, “He’s not as good as his dad.” But it didn’t faze me much: Anybody comparing me to Fela when I was 15 was just dumb. They said, “It’s not good. He’s not writing his own songs.” Why should I be writing Afrobeat songs at 15? I was playing the sax and performing Fela covers well, but nobody could see this development. Has there been any change in Nigerian politics since your dad’s heyday? I think the government is becoming more susceptible to being toppled. Not because they want to, but because they have to please two masters– the military and the West. Look at all the heads of state in Africa: They were all once part of a military administration, they just took off their uniform and wore civilian clothes, but continue to do the biddings of the military commanders and the West. Democracy will make them susceptible to change, but change will come slowly. We play music so that Africans understand that it is everyone’s duty to want Africa to be better. We can ask for more. But we need more people saying the government is lying and not doing the right thing, more people wanting change for their children and their community. 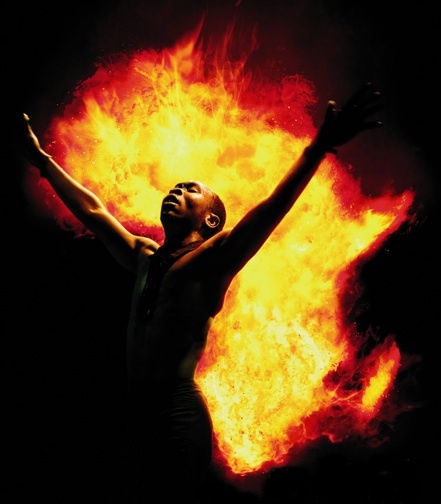 What are the messages you hope to convey with your new album, From Africa With Fury: Rise? I think the second album is a bit more specific in the lyrics of each song. For me, my whole musical ideology is to educate people. If they listen to my album and find some truth in there that is meaningful and they want things to change, I’m satisfied. I talk about everything from slavery to revolution. How do you feel you’ve grown since your first album was released? Everyday, you’ve got to be better at what you do. I practice every day. Songwriting has a lot to do with hard work, confidence and talent. The more confident you are in your music, the better the music gets. I thank my fans all over the world for accepting my first album and urging me on. That gave me confidence, more fuel and more fire. You’ve talked in the past about an artist’s power to effect change. What changes do you most want to see in your homeland?